pop culture | six words to change the world. most offensive picture in the world. It’s got it all. EVERYTHING that Mallory and I have blogged against in the past! 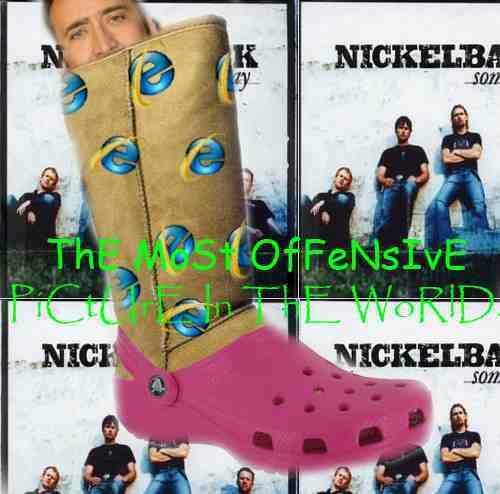 Nic Cage, Comic Sans and Papyrus, Crocs, Internet Explorer, Nickelback. It’s brillz, simply brillz. Who made this? Can we be friends? Because I’m pretty sure we have ESPN or something. youtube clip(s) of today: holiday themed. youtube clip of today: the turbaconepic. Happy Thanksgiving, y’all. Hope you get to stuff your faces!